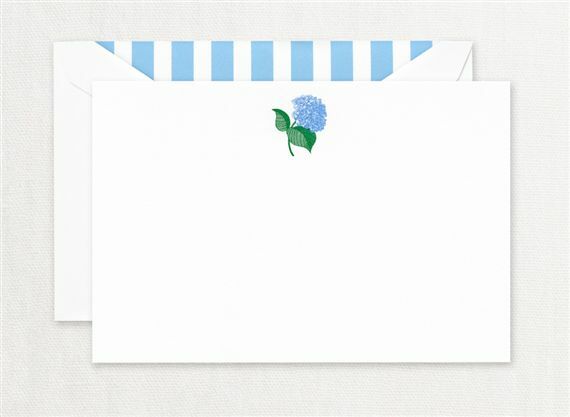 Order your Crane Blue Hydrangea Correspondence Card 10/10 today from FahrneysPens.com. Fine Pens, Refills & Luxurious Gifts – great prices & fast shipping. Evoking summer days in Nantucket, this classic and quaint box set will charm your recipients with its relaxed elegance. The perfect greeting for friends and family alike, it promises to feel like a casual exchange over tea on the veranda.